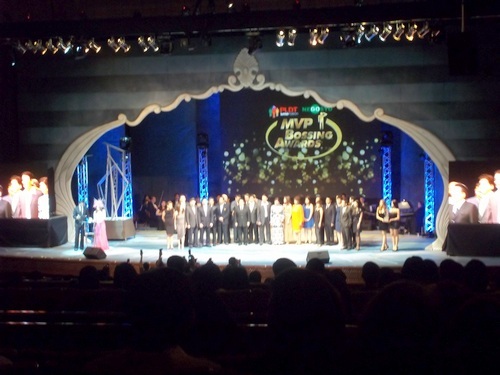 On its 2nd Year, the took place on 11/23/11 at the Meralco Theatre before a full house of CEO’s & Company Presidents. PAGASA’s Board was invited to witness the affair where Nanay Coring of National Bookstore clinched this year’s award. Last year’s winner was Cecilio Pedro of Lamoiyan, makers of Hapee Toothpaste.